7.05.2013 | CRISTIANE BARBIERI (TEXT). Queiroz, partner and president of Minerva, bet on technology, synergies and partnerships to grow. but does not give up the focus: "We are proud to be producers of commodity"
QUEIROZ, MEMBER AND PRESIDENT OF THE MINERVA, BET ON TECHNOLOGY, SYNERGIES AND PARTNERSHIPS TO GROW. BUT DO NOT OPEN FOCUS HAND: "WE HAVE the PRIDE TO BE COMMODITY PRODUCERS"
A graduate of the FGV-SP and a few years away from the Bradesco and Ágora Corretora tables, Sergio Del'Arco has held an equal-to-equal discussion with the manager of the confinement farm of the Minerva Foods food company in Barretos, on Wednesday, April 17. With his hands full of what any well-informed would identify as grass, he wondered why part of the corn germ had been replaced with hay. Pointing to mountains of cottonseed, soybean pie, minerals, and citrus pulp, he took the opportunity to ask which mixers were working, how often and to go to other confinements. "Agribusiness companies have been demanding professionals with other qualifications," says Del'Arco, who happened to become manager of Minerva's confinement. "It is an illusion to think that working on the field is less stressful. Here I work as much as in the financial market. " Like Del'Arco, a good part of the executives of Minerva came from the market, in a movement that reflects the current moment of the economy. With banks and brokerage firms losing business volume and growing agro-industry, it was natural for the labour force to move to an area with higher demand and wages. It was also natural that a company that claims to be proud of being a commodity producer was looking for a market that understands the subject. The marriage was sealed by an operational strategy that runs counter to the industry's roadmap - especially in relation to major competitors. Minerva has chosen to build factories from scratch to go shopping. It concentrates its expansion in South America instead of dreaming of the global production. It is focused essentially on export and distribution to small and medium retail. And it has in conservatism the main characteristic of its strokes - a conservatism that investors have learned, over time, to read as consistency. This package, set up and implemented by the businessman and administrator Fernando Galletti de Queiroz, has been producing results above the curve. Among large companies (revenues above R $ 3 billion), none appreciated the size of Minerva: a 155% increase between March 2012 and March this year. Last year, it had already stood out, with growth of 122.1% over 2011 in market value, according to Economática. It is more than 16 times the growth of Ibovespa in the year (of 7.4%). Valuation comes as a result of the improvement of several financial indicators, a result that is even more pronounced when the company is compared to its competitors. If you want to understand why investors rewarded Minerva, suffice it to say that net revenue has grown on average 39% a year since 2001. It went from R $ 159 million at the beginning of the millennium to R $ 4.4 billion in last year. In addition, the company is expected to earn the seal of the International Finance Corporation (IFC), the financial arm of the World Bank, on a loan that will become the largest agricultural institution in the country. 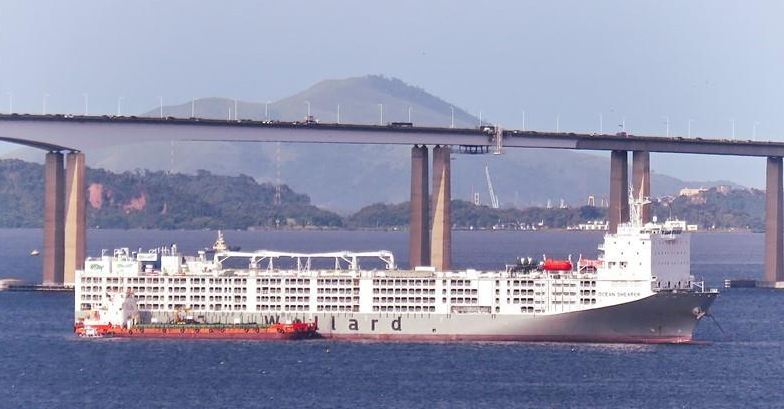 "We assume that we are a producer of commodities, we work with cattle and our expansion is restricted to the best area for production in the world, South America," says Queiroz. The beef desk is powered by researchers who bring information from the field of production, rainfall, pasture and other data. Since starting the company, at age 24 (he is now 45), Queiroz bet on a different recipe. 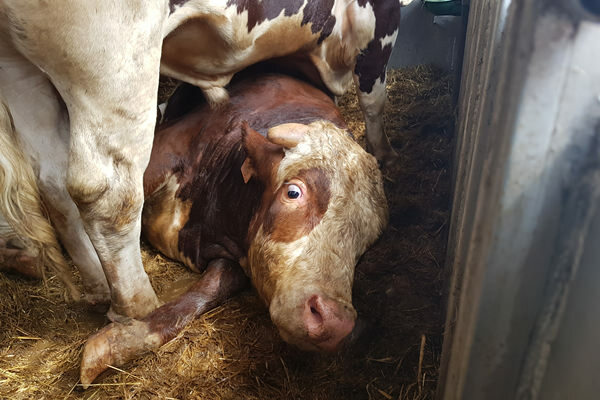 To begin with, it understands both cattle and financial operating tables - crucial in a market where profit depends on complex buying and selling, but where anyone who does not understand the cycles and idiosyncrasies of livestock is left without product. In defining itself as a commodity producer, Minerva started to see its business differently. This helped her create the beef desk, a sort of trading desk from which she manages the risks linked to the activity (exchange and price of the ox), lock exposures, and arbitrate on future prices. It also decides there once a week what it will produce in the next two months, based on a mathematical model that considers the best prices for certain cuts in various markets in the world, and calculates the best value they will achieve. "Until recently, we were focused on production," says Fábio Bindemann, Minerva's industrial director. "The question we asked was, 'How much does this beef give?' Today we ask, 'How much does he give of money? ', Because sometimes he can make more, but the meat is worthless. 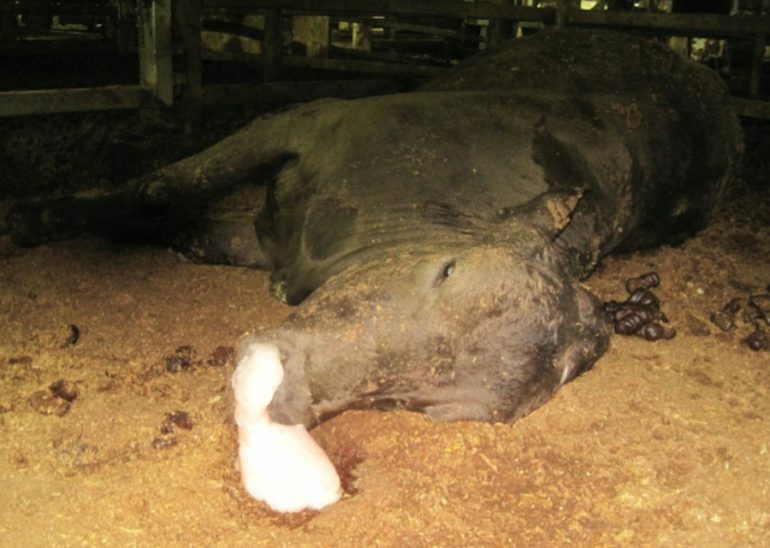 "There are no less than 4,000 ways to cut the meat. Depending on the position of the knife, for example, there may be six different types of filet, each according to the taste of a country - each with a price for steak. Bindemann receives weekly a spreadsheet with the types of meat that each of the factories will have to produce. The beef desk was formalized in 2009 with the arrival of Edison Ticle, CFO, to Minerva. Former risk manager at Safra, a former Pactual trader and former Cargill, Ticle has organized the structure that attempts to exhaust each of the variables to which the business is subject. To feed the beef desk a research area was created, with four analysts and 15 field researchers. 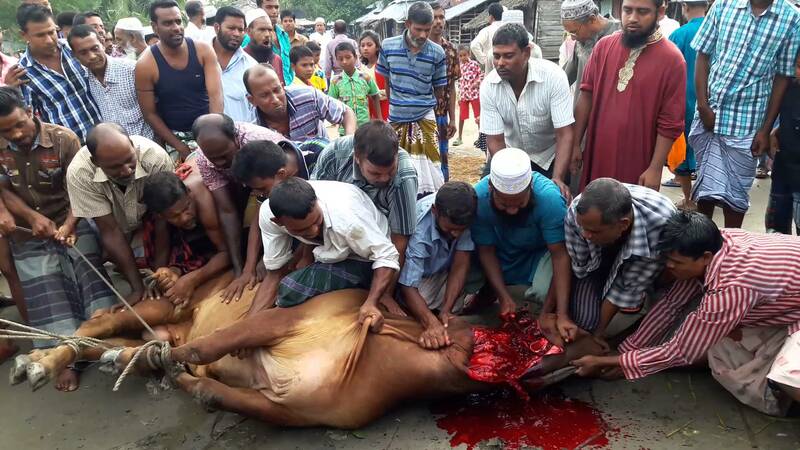 They are the ones who buy the cattle to be slaughtered by Minerva, but also collect information on expectations of supply, prices, rains, pastures and stocks, among others. 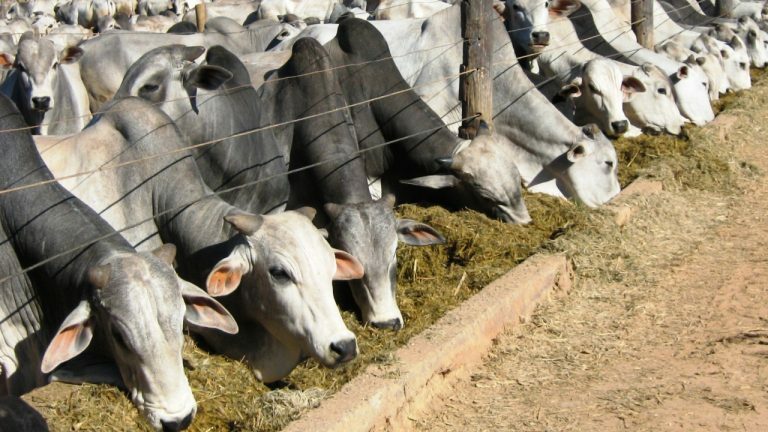 They also offer Minerva financial products to the cattle rancher, such as cattle contracts term, a guarantee of minimum price in futures contracts, exchange of inputs for arrobas of cattle and financing. Among the instruments is the confinement itself. As some of them are able to export the oxen there fattened to Europe and the United States, Minerva relays to the ranchers part of the gain with the overvaluation of this meat. "This vendor is quite contested by the fridges," Ticle says. "The challenge is to keep it loyal, not just paying more." Today, Minerva gets 30% of its supply in this way and the trend is for growth. It may be an important area for the company's revenue in the future. The beef man: At age twenty-four, Queiroz drew up the business plan for the bankrupt estate bought by his father. To understand the sector, he worked as a worker in refrigerators in Brazil and in England. The plan is being implemented to date. THE BEEF MAN: AT 24 YEARS OLD, QUEIROZ HAS BROUGHT THE BUSINESS PLAN FOR THE FALLEN MASS PURCHASED BY THE FATHER. TO UNDERSTAND THE SECTOR, HE WORKED AS A TRACTOR IN REFRIGERATORS IN BRAZIL AND ENGLAND. THE PLAN IS BEING EXECUTED UNTIL TODAY. From demon to sweetheart is common in the grain market, these instruments are not used frequently in the bovine commodity, mainly due to lack of information. IBGE data, for example, reach the market with a delay of three months, an unthinkable gap for those who deal with the minute-to-minute oscillations in the price of the arroba and the exchange rate. For competitors with operations in other countries, the mission is even more difficult. "In a volatile environment, it tends to win who knows how to operate this volatility," says Gustavo Wigman, an analyst at Credit Suisse. "Minerva has basically turned from a demon into a darling of the market," says Wigman, whose latest reports on Minerva were dubbed "Driving Recovery" of the livestock cycle: time to put BEEF [the acronym of Minerva papers in the bag] on your plate "and" Time to put BEEF, not horse meat, on your plate. " The Credit Suisse team was not the only one who liked what she has seen in Minerva. "We continue to see Minerva as a well-managed company [...], with strong earnings growth," BTG Pactual reports. Six of the 13 banks and brokerages that accompany the company have the same tone. Who does not have, like the analyst Renato Prado, the bank Factor, sees more conjuncture problems than related to its management? "The sale of meats is very sensitive to prices, and the rise in inflation may result in a loss of gross margin," says Prado. This situation was quite different from the beginning of 2009 when the market value of Minerva hit R $ 100 million, a frantic drop after the IPO in 2007 when the company was worth R $ 1.4 billion. "It was a real race," says an analyst who has followed the industry for years and asks not to be identified. "The three refrigerators [JBS, Marfrig and Minerva] made the initial stock offering at about the same time with the promise to consolidate the sector. But while Marfrig and JBS grew absurdly, because of the money injected by BNDES, Minerva was more conservative and preferred to grow organically. Their actions simply melted and everyone bet that it would break. "Banking Instruments As part of the supplier's financial support package, part of the extra gain gained from confinement meat is passed on to the cattle rancher. Over time, financial indicators of the company, competitors and the segment point out that the strategyMinerva was right. Despite having a turnover of 17 times that of Minerva, of R $ 75.7 billion, JBS had a negative cash flow of R $ 400 million last year, while Minerva generated R $ 196 million cash. Marfrig faces a serious crisis. The market value of the company, which reached R $ 8.2 billion at the beginning of 2010, was R $ 3.4 billion at the end of April. Its cash flow was negative by R $ 447 million, to a net revenue of R $ 23.7 billion in 2012. Its net debt reached R $ 9.2 billion at the end of last year, at a ratio of 4.3 times its cash generation, the largest indebtedness of the sector. "Marfrig would have broken twice if it had not been bailed out by the BNDES," says one analyst. At the end of the month, Sérgio Rial, who will take over the presidency of Marfrig, announced that he will have to dispose of assets later this year to reduce leverage. With money and BNDESPar society and its champions policy domestic companies, JBS bought 40 companies and Marfrig, another 18. According to analysts, without the capacity to digest the assets, today they face difficulties. Minerva also borrowed from the BNDES to build factories, but was conservative and did not enter into the acquisitions movement. 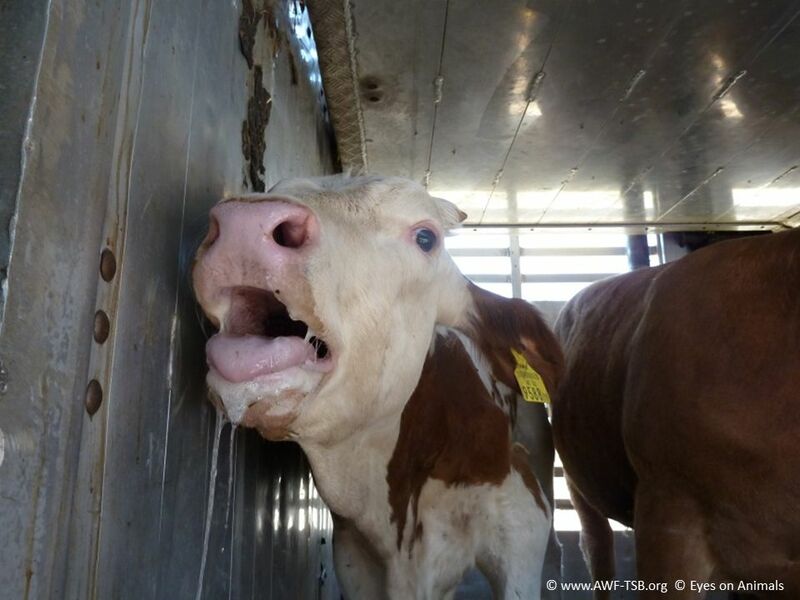 Minerva uses livestock confinement to keep the rancher loyal and guarantee part of the supply. the area is run by del'arco - who, like most of the company's executives, came from the banks and brokerage tables and plunged into the field. A strategy, two decadesQueiroz is responsible for the design and maintenance of Minerva within the strategy traced more than 20 years ago, when the family came almost by accident in the refrigeration business. His father, Edvar de Vilela Queiroz, left, at the beginning of the 60's, a career as an employee of Banco do Brasil to manage the small fleet of three trucks purchased with their economies. "I returned from the honeymoon in 1967 and resigned," says his 73-year-old Edvar, in a room surrounded by photos of his father and his 11 grandchildren. "There were people who called me crazy, because working at the Bank of Brazil was the job of dreams at the time, but I thought that if it did not work, I could advocate." In partnership with the five brothers, the company would later become Expresso Barretos, which had 3,000 trucks and 20 branches, transporting cattle and meat to refrigerators from almost the entire country. It started there one of the main differentials between Minerva and its competitors: the close relation to cattle ranchers and to the retail small.CONTINUOS AFTER THE ADVERTISEMENT "At the beginning of the race, I gave classes of accounting", says his Edvar. "The breeders liked to keep up with the bills and they began to have confidence." In the late 1980s, however, there was a break in the industry and the brothers, who at that time also raised cattle, had no one to sell. "It was when we decided to buy the bankrupt estate of the Minerva refrigerator in Barretos so we could sell our cattle," he says. They paid $ 360,000 for the fridge. At the end of April, VDQ Holdings, the family arm of Minerva, was worth around $ 700 million. The family paid $ 360,000 for Minerva's bankrupt estate in 1992. 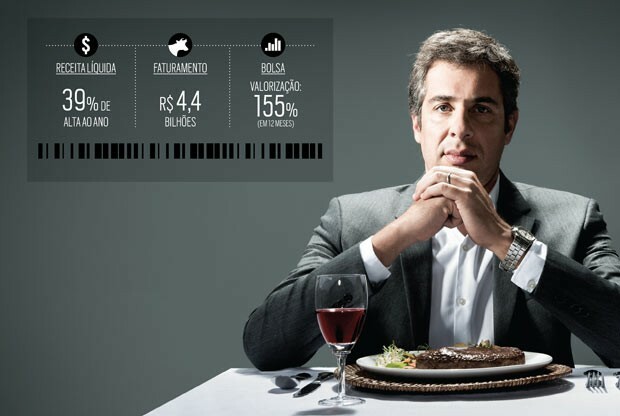 Today, R $ 700 million In realizing that the refrigerator was much more capital intensive than they imagined and without any speciality in the area, the brothers called Fernando, the eldest son of Edvar, to play the business. At age twenty-four, he had recently graduated from FGV-SP and worked as a trader at Cargill. "It was a very difficult decision," says Queiroz. "I was starting to work in the profession, I was working in a company that was a benchmark in all aspects, had a career plan and was going to change everything for basically a piece of land, which was the factory stopped eight years ago in Barretos." Queiroz ran the business plan with one condition: he would only go to the company as a partner. After studying the market, with the right to dive into Brazilian competitors and to work for six months as a worker in three refrigerators in England, he came to the conclusion that Brazil - at that time importer of meat - had a great competitive advantage. The business plan presented to the father and the uncles, however, included an export model. "The market was highly informal and practised rules we did not want to play," he says. "The exit was to work with the foreign market." Queiroz was with 5% of the company and in 1993, exactly 20 years ago, Minerva was making the first slaughter. The strategy could not have been better for the time of the country. In less than ten years, Brazil has stopped being an importer to become the world's largest exporter of beef. And Minerva became the second largest exporter of beef and the largest exporter of live cattle in the country, a segment that accounts for 12% of its total revenue. The founder, his Edvar, father of Queiroz: "asked if I was crazy to leave the job in the bank of Brazil to take care of three trucks " THE FOUNDER, ITS EDVAR, FATHER OF QUEIROZ:" ASKED IF I WAS MAD TO LEAVE EMPLOYMENT IN THE BANK OF BRAZIL TO TAKE CARE OF THREE TRUCKS "
Synergies, partnerships and other bugs In addition to exports, another pillar of Queiroz's business model was to take advantage of the Expresso Barretos distribution chain, which had access to the small and medium-sized retailers spread throughout the country. This is a differential - and with margins greater than that of large networks - in one of the most critical areas for any consumer goods industry. 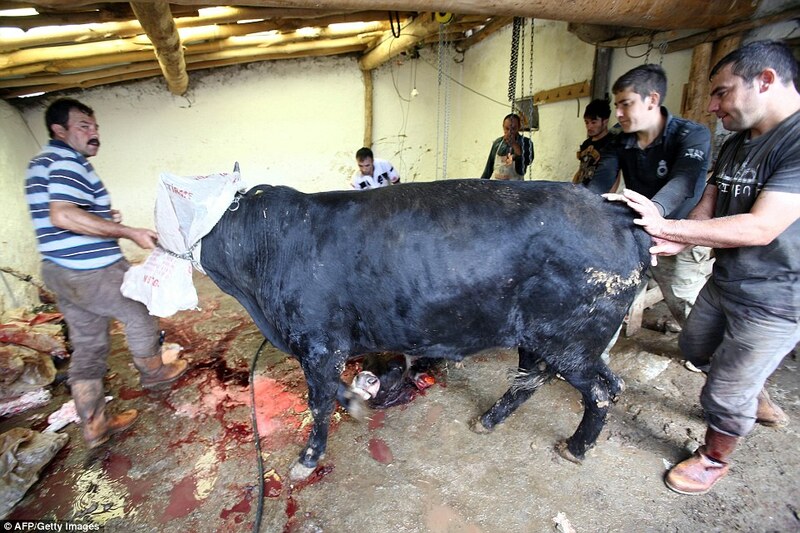 According to a survey by Credit Suisse, the return on invested capital reaches 96.6% in distribution, compared to only 7.8% in the slaughter. 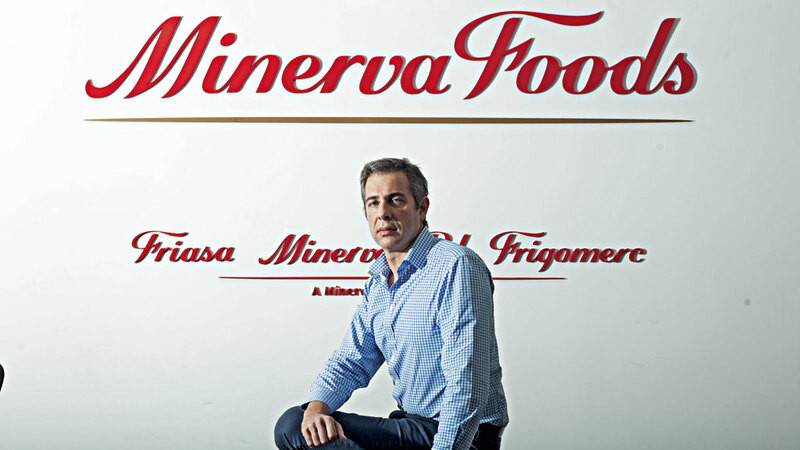 To take better advantage of the area, Minerva began to distribute other refrigerated and frozen products.CONTINUE AFTER ADVERTISING "Like the competitors, we also studied to make other proteins, but we came to the conclusion that, literally, they are other animals," says Queiroz. 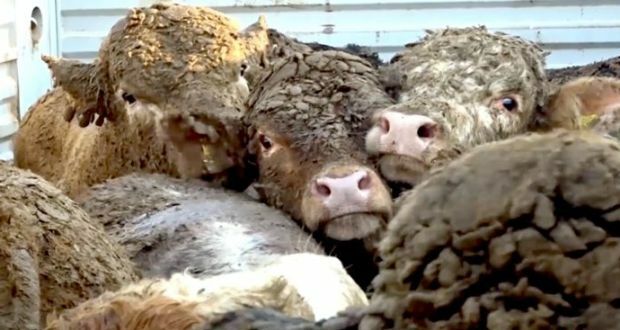 "There is no synergy in the breeding and slaughter of cattle, poultry and pigs, and therefore there was no point in buying companies in these areas. In the distribution and industrialization of other meats, however, there is synergy and greatness. "While the competitors went out buying other industries in Brazil and abroad, the solution to Minerva was cheaper: they bought poultry, pork, fish, potato chips and other refrigerated and frozen products from other manufacturers to serve the small retailer. Particularly in more distant places and without infrastructure, the owner of the market sees this type of service as a great convenience and paid - especially with shorter terms - for this. For the future, Minerva sees in the distribution of third-party products the possibility of launching a brand of its own. Expansion Plan Now that the assets are cheaper, without the rush caused by the contributions of BNDESPar in the competition, Minerva will go shopping, For now, however, the company is investing in the expansion of Minerva Fine Foods, its ready-made food business. Created from a partnership with the Irish Dawn Foods, it now produces food made from beef, pork and poultry - such as burgers, roast beef, hams and bacon. Detail: only 60% of the raw material processed is bought from Minerva since the meat of the parent company is largely noble. On the day that BUSINESS visited the factory, also in Barretos, they left one of the production lines meatballs for the Subway of England. Minerva Fine Foods has 40 customers, operates from 5:00 am to 11:00 pm and will earn a third production line up to the middle of the year. In addition to providing Subway in Brazil, of the year, in which R $ 60 million is being invested. The expectation of the company, whose share of the Irish partners was bought last year, is that the turnover goes from R $ 200 million in 2012 to R $ 500 million in 2015. As the products it manufactures are customized and leave ready - and fast-food chains already have less cuisine in their stores - there is a trend for expansion. "Minerva has a limit on the speed of growth of the industrialized food area," says Prado of Factor. "Even by giving more gain than the commodity, we expected a faster consolidation of the area, which did not happen." _BANCO MUNDIAL INTERNATIONAL FINANCE CORPORATION SEAL (IFC) ), THE WORLD BANK'S INVESTMENT ARM, MAY HAVE ON THE MINERVA'S MOST AMBITIOUS PROJECT IN AGRIBUSINESS IN BRAZIL. THE INSTITUTION MUST LOAN R $ 85 MILLION TO THE COMPANY, UNTIL THE MIDDLE OF THE YEAR. LITTLE, FOR THE R $ 1.4 BILLION OF DEBT AND AT MARKET COST, BUT SYMBOLIC. "THE COMPANY ONLY LOANS WITH US IF IT IS ENGAGED TO MAKE IMPACT SOCIAL IMPACT IMPACTS", SAYS LUIZ DANIEL DE CAMPOS, DIRECTOR OF IFC. A TEAM OF THE BANK HAS SPENT WEEKS AT MINERVA'S FACTORIES, EXAMINED ACCOUNTS AND GOVERNANCE. 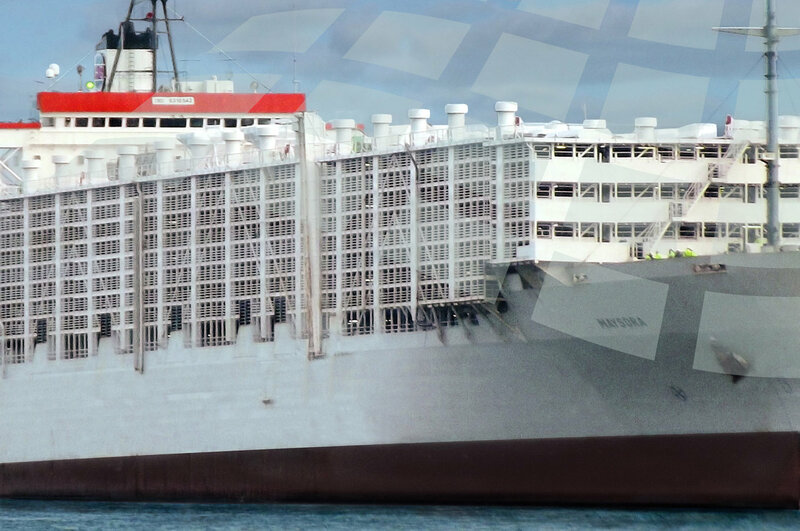 AFTER THE CONTRACT, IT WILL ACCOMPANY THE IMPLEMENTATION OF MEASURES WHICH, AMONG OTHER THINGS, REQUIRE A MORE ACTIVE ROLE IN SUSTAINABLE LIVESTOCK. FOR THE IFC, LOAN IS ALSO IMPORTANT TO THE SOCIO-ENVIRONMENTAL POINT OF VIEW. "MINERVA WILL HAVE AN EFFECT DEMONSTRATION THAT IT IS POSSIBLE TO HAVE THE BEST PRACTICES AND BE EFFICIENT"
Shopping time in this moment, when competitors are immobilized digesting their acquisitions and learning to deal with new markets, Minerva has a new plan of action: going shopping. Queiroz believes that the assets are at fairer prices - three years ago, with the flood of BNDES money, this market had been inflated. The idea is to search for slaughter and boning factories in Mato Grosso, Paraguay and Uruguay and to move from 10 to 15 distribution centres. The total investment in the period will be R $ 400 million. "Before it was cheaper to build than to buy," says Queiroz. "Now, the time is the opposite." Married to the girlfriend he met in college, a father of five and known to keep his plans on the trail, would Queiroz have any interest in the piece of Marfrig's cattle that might eventually be sold? "We are always open and analyzing opportunities," he says. He says he has heard this question from nine out of ten investment banks. "But in this case, there are a lot of 'considerations' involved and the bet has to make sense of our business strategy." Profit at the tip of the knife.